This article by Mumia Abu Jamal is re-posted from ZNet. 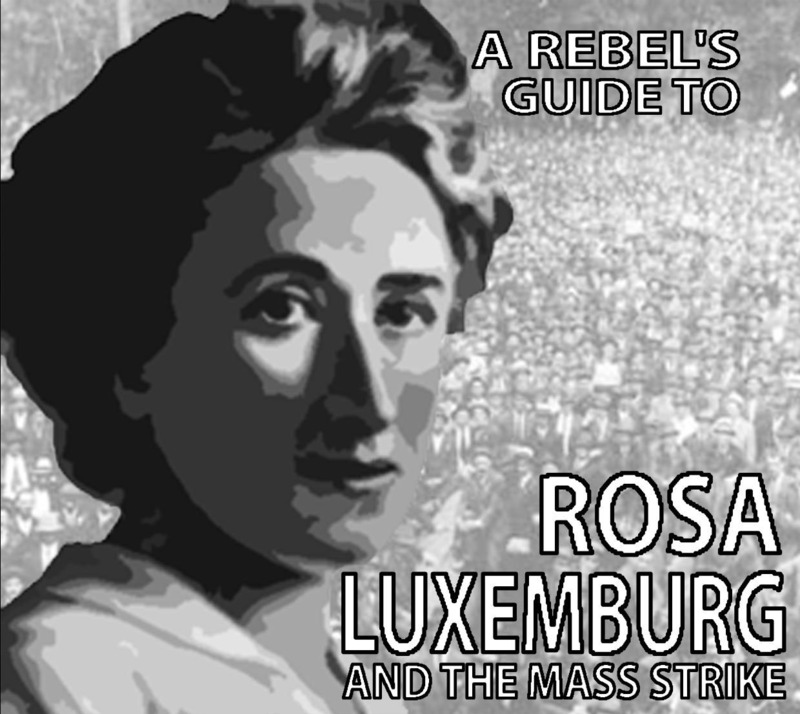 I recently did a thought experiment of Rosa Luxemburg and gave her a role in advising the young activists. I will not repeat that practice. Her spirit, however, of principled and resistance to Imperialism and advocacy of revolution over reform, endears her to us, and informs young activists involved in struggle against the US Empire. As the Occupy Movement is still with us, and finding new ways of trying to live lives consistent with the spirit of Occupy, we think of it as a new year dawns, and try to draw lessons for movements active today, and ones to come. Initially, we must note that Occupy is an American phenomenon, but there are similar expressions in other parts of the world, like the Indignados in Spain; the Arab Spring in North Africa; the Movimiento San Tierra (the Landless Peasants Movement) in Brazil, and beyond. All of these movements share something fundamental: a discontent with the status quo; and a deep desire for change. They each know that the status quo is untenable; that the state is an instrument of the wealthy; and that the present economic system is rapacious when it comes to using its power to protect the well-to-do. Rosa Luxemburg would’ve loved to be around, not just to see the effects of that crisis, but to teach the lessons of organizing, and revolution-growing. And while it would be premature to call some of these movements revolutionary, they are certainly radical in that they are calling into question the systems under which we live, including capitalism. In the US, the Occupy Movement struck quite a chord, simply by speaking to the stark divide in American society, between the 1% and the 99%. Their slogan, “We Are the 99%!”, cut to the very heart of the economic crises ripping through the United States, the joblessness, the government budgets being slashed, and the monstrous weight to many states of the prison industrial complex- the biggest such system on earth. Similar crises are being thrust into many European states, say Greece, Italy and Portugal, for starters. What we are seeing is the boundless appetite of capital for more capital, especially in the aftermath of the fall of the Soviet Union. These economic disruptions are having political effects, as shown by the rise of anti-capitalist groupings which challenge the status quo. As the contradictions in society become sharper, more people are drawn into such movements, to try to redirect this social decay into more productive, more social concerns. National news reports have shown a campaign of repression against occupiers, from police assaults, beatings, mass arrests and anti-Occupy media propaganda. First, the media ignored them; then, when that was no longer possible, they maligned them. They defended their corporate owners by misreporting on these anti 1%ers, depicting them as silly, trifling people. Police infiltrated them at every level. Yet, they remain, involved in a variety of issues. In a variety of American cities. No longer as visible, and longer amassed at open air locations, they remain opposed to the status quo. They are searching for a way, true; but the good thing is that they are still searching. They are still trying to build a system that serves human needs, instead of corporate needs. Rosa Luxemburg would be proud.